Get behind me, Dice Gods! : Maybe a new meta for the game? Our meta here is quite interesting, it's warmachine rather than hordes and very much infantry spam! But how will colossi affect this meta? One option talked about is reducing the miniature count drastically and the fact colossus might draw attention away from other high powered models. This example attempt to make the most of the ranged combat of retributions Arcantrick force generators and Hyperion. and 1 AOE 5 crit consume power 18 range 16 shot. 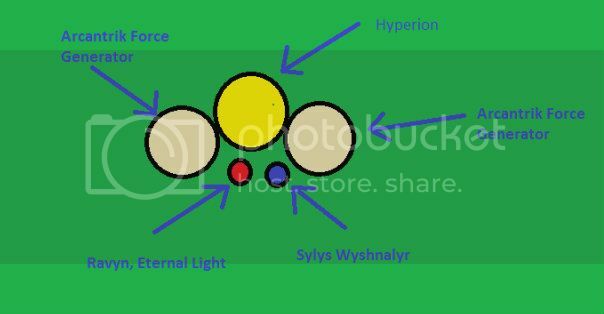 Ravyn live in a bubble of safety being able to sit on focus allowing sylys to keep snipe in play for free and ravyn can allocate 3 focus to Hyperion and why wouldn't you? Is it beatable? Hell yes it has many issues with scenario play and they are magic bullets to deal with this but how well could this type of meta army play in tournaments? In my opinion this would be powerful force and very difficult to plan against in tournament play. Oh sorry add one mechanic to the above list cus I have 1 point to spare and repairing the 3 big guys isn't a bad option.